I'm back again for Silver Sunday hosted by Gypsy Fish Journal ! these pieces very inexpensively from shops and street vendors alike. 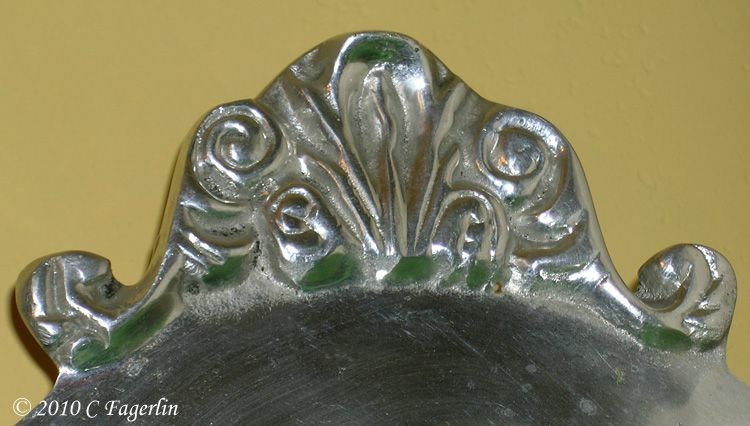 Mexican pewter is different than the pewter we are all familiar with. 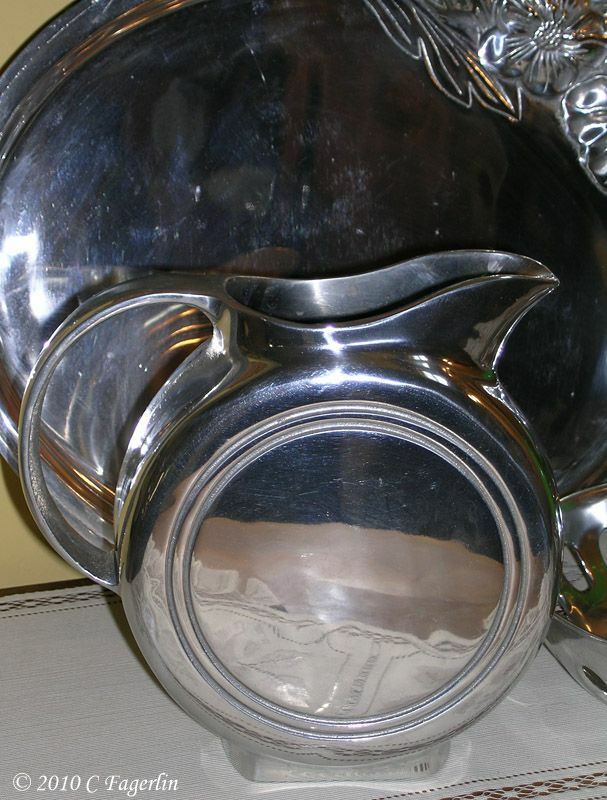 present-day pewter is approximately 91% tin, 7.5% antimony and 1.5% copper. carefully protected by the Worshipful Company of Pewterers in London. the European directive BSEN611 in 1994.
made from pewter by stamping and spinning. 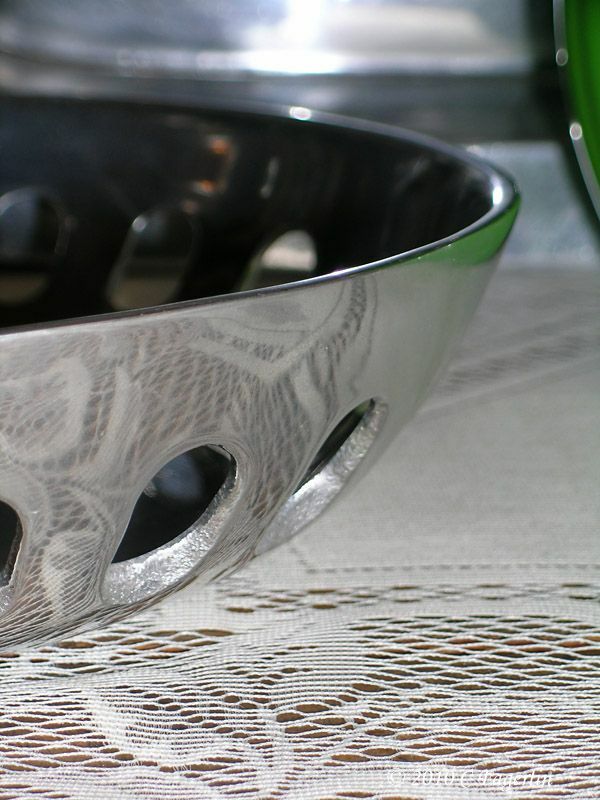 Mexican pewter is non-toxic, tarnish-resistant and LEAD-FREE aluminum alloy. the pieces I have brought back from our trips to Mexico. The real thing and this cute look-alike! pitcher and almost looks like it is embellished with emeralds! Detail from one of my favorite little bowls. Wow, who knew.....that is such a cool look alike. I think it was made just for you, for you silver sunday post...tee hee. Thanks for paticipating....see you next month! Gorgeous pieces! 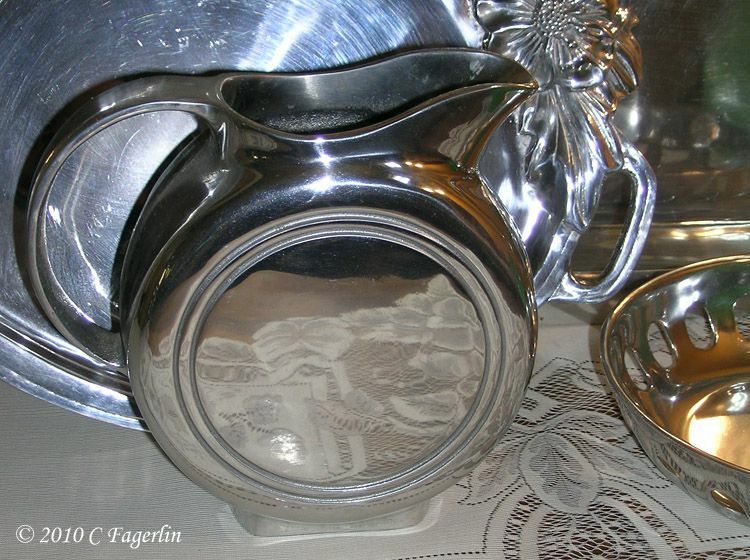 I adore the silver fiesta pitcher! Thanks for sharing! 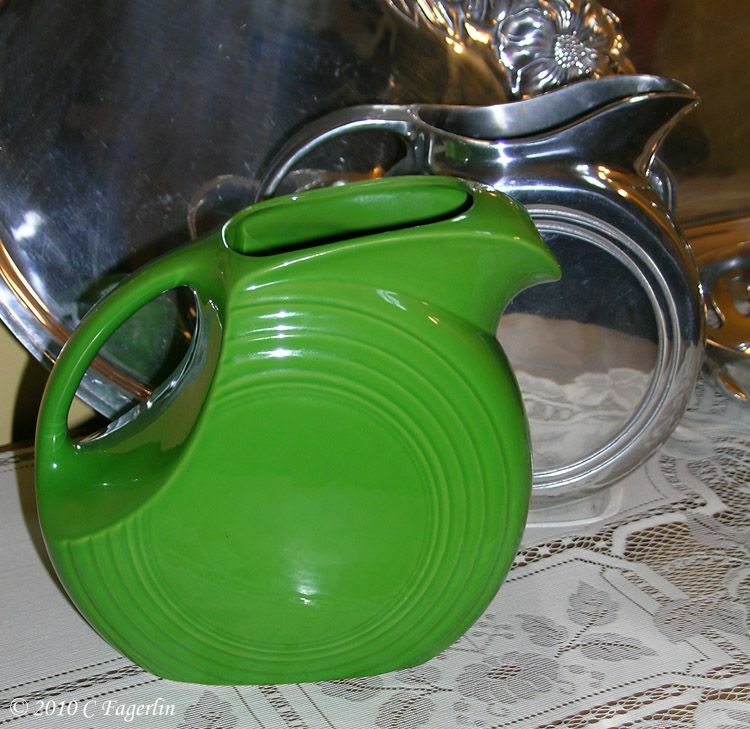 What a cool pitcher -- I would have snatched it up too! We love peweter here at Hyacinths! You have some great pieces, and I especially like the look-a-like Fiesta piece. love this. expecially the pitcher. Thanks for sharing. Happy Valentines day! Great post. Fiesta is beautiful and the pewter version does it justice. I don't typically like pewter but the Mexican pewter is awesome. Good Morning to all of you on Valentines' Day! Thanks for stopping by and for all your lovely remarks about my pretties. 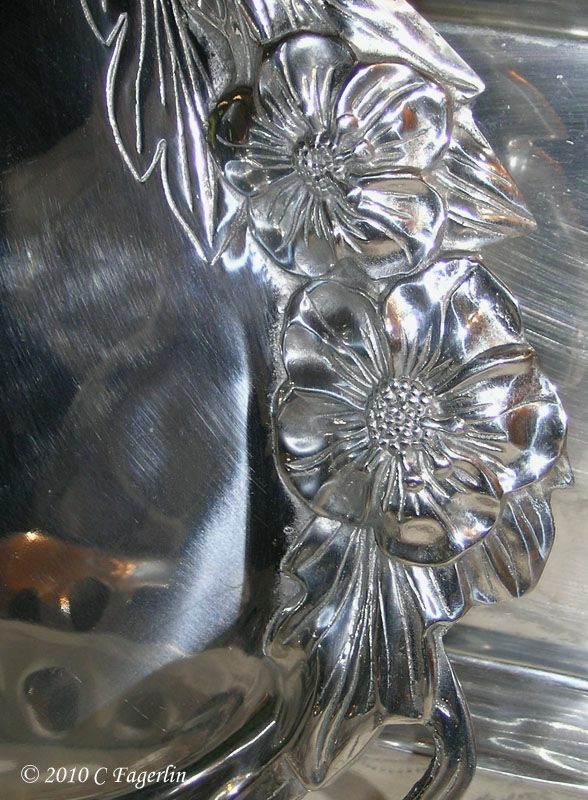 Here's hoping that all your silvery things reflect the love that surrounds you on this special day. Wow, that really was a find in that Fiesta lookalike pitcher! I really like that tray as well! Thank you Diann and Marcia! I'm sneaking back in here to check your comments before we run out to a special brunch. Yummm! Happy Valentines' Day! Candy, what a great post! I learned alot today about pewter . . . who knew there was such a difference depending on where it's made?! Your pieces are wonderful and I think it's serendipity that brought you that little pitcher . . . very cool! Thanks so much for sharing and Happy Silver Sunday! Whoa! You have some seriously nice silver. Great photos too. Happy Silver Valentines Day!! That tray is fantastic. I am not familiar with Mexican pewter...but I like it. Happy SS! Beautiful Silver... 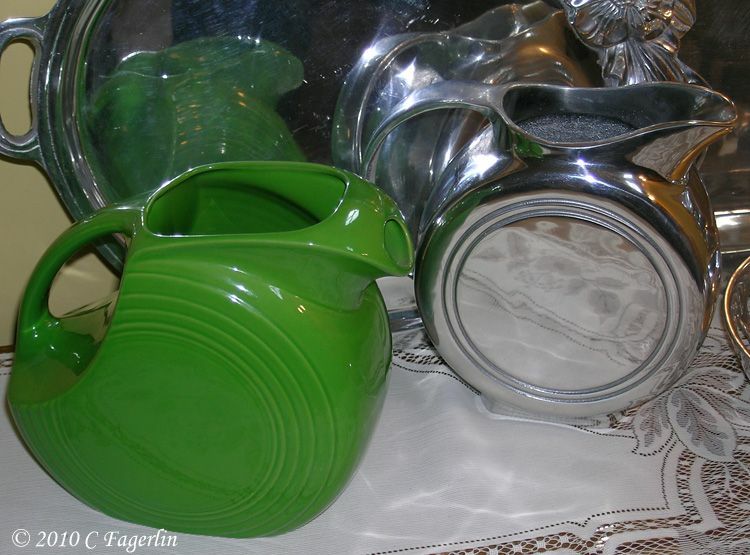 I love the green Fiesta Ware.... Happy Silver Sunday. 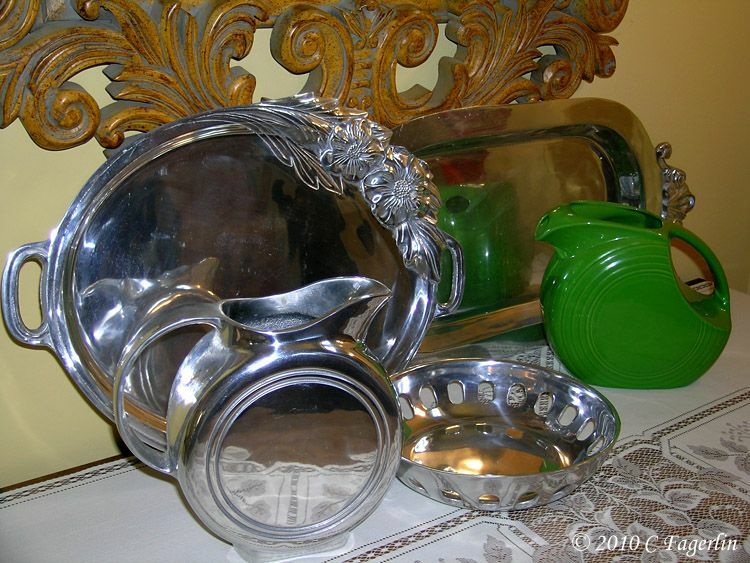 Thanks ladies, I'm so glad you enjoyed seeing some of my pewter from Mexico! See you next month for another Silver Sunday!